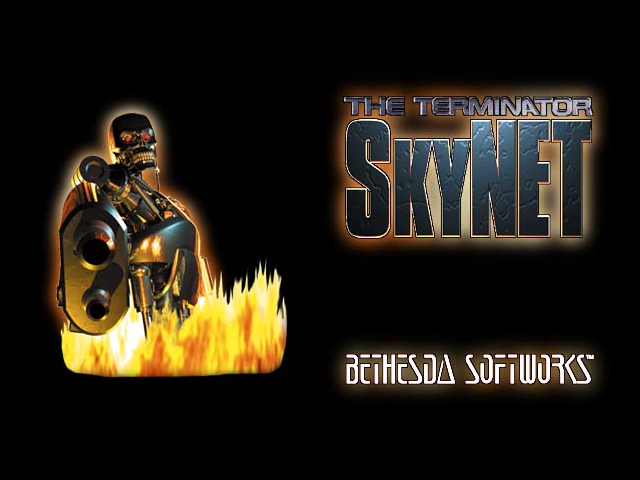 SkyNET delivers all new single player missions and the most explosive multi-player combat ever to grace a screen. Now take on the cyborg enemies in SVGA graphics with all new options and weapons. Lob pipe bombs over walls to bombard your enemies, or use the motion tracker and play a deadly game of cat and mouse. In the single player mode, an intense storyline has you chasing down a nuclear weapon across the country. Race across a ravine in a jeep, destroy a nuclear sub and even infiltrate an enemy base. The best feature yet is the multiplayer mode. Now you can play against your friends in the ultimate deathmate game. Chose from several different characters, including a Terminator. Drive military vehicles and run over your opponents, or even fly a captured HK and shoot everyone from above! SkyNET doesn't limit you to cramped indoor corridor mazes, you can battle it out against your friends in a city filled with broken down cars and trucks. Jump from rooftop to rooftop... just make sure you don't fall 10 stories! Or take everyone on across the rolling hills of Los Angeles! Duck and hide behind the big HOLLYWOOD sign. Customize the rules of the battle--pick how many jeeps, HKs, weapons you want on the battlefield. Then blow the #### out of everything and everyone!